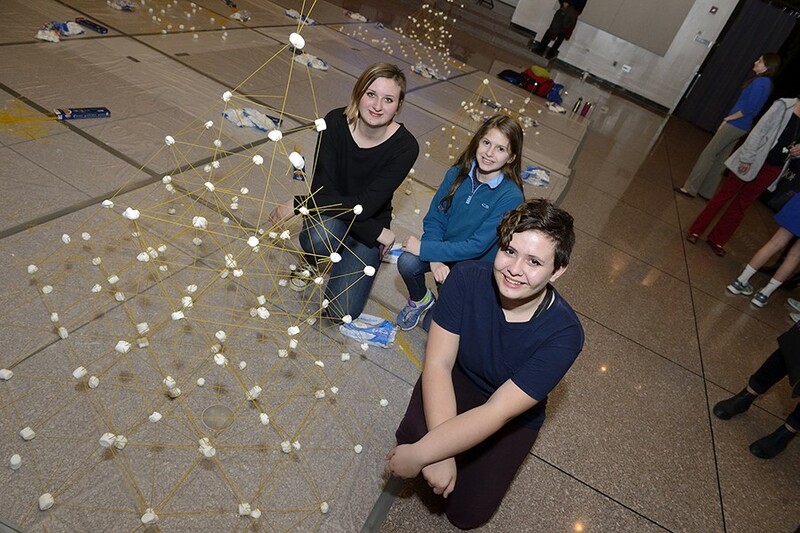 Waldorf School of Baltimore students Ryleigh Poole (8th grade), Madeline Martak (7th grade), and Ashley Passmore (6th grade) took home first place in Johns Hopkins' annual Tower of Power competition. Team Waldorf's tower measured 4 feet, 6.5 inches tall, besting a team of Johns Hopkins University undergraduates. Poole, Passmore, and Marsak celebrated their victory by gleefully stomping on their structure!